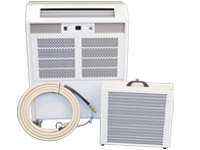 Dantherm provides climate control products and solutions. 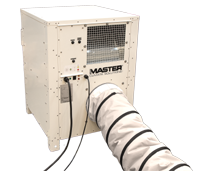 With more than 60 years of experience in designing and manufacturing high quality and energy efficient equipment for heating, cooling, drying and ventilation for a wide range of mobile and fixed applications. Every year Dantherm uses significant resources on product development to stay in the forefront and is constantly adapting the products to changing market demands and legislation. Dantherm has a number of strong brands with well-established market positions. Some environments require particularly resistant units. That is why Dantherm’s rugged and reliable mobile air heaters are the preferred choice for military camps, relief camps, field hospitals and at similar sites. For more than two decades, Dantherm has been a preferred supplier of field deployable mobile heating units for military and humanitarian field camps. The Dantherm range has been adopted as a NATO standard and we are acknowledged around the world for our extensive expertise. 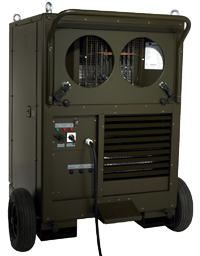 For more than two decades, Dantherm has been a preferred supplier of field deployable mobile cooling units for military and humanitarian field camps. The Dantherm range has been adopted as a NATO standard and we are acknowledged around the world for our extensive expertise.